Geography > Adventures, shipwrecks, buried treasure, etc. Mary Celeste is an iconic mystery - a perfectly seaworthy ship found wandering aimlessly at sea, her crew strangely and inexplicably missing. 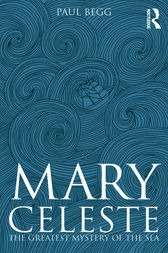 Paul Begg tells the story of the discovery of Mary Celeste and the people who vanished, and investigates over a century's worth of speculation and survivors' tales, searching for the facts behind one of the world's great mysteries.